Blood Pressure : Could Probiotics Help Tame High Blood Pressure? 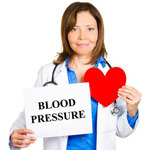 MONDAY, July 21, 2014 (HealthDay News) -- A new study suggests that potential help in lowering high blood pressure might be as close as your refrigerator. The study found that regular intake of probiotics, such as those found in certain yogurts or supplements, may help ease the condition. Researchers looked at data from nine studies that examined links between probiotics and blood pressure. The studies involved a total of 543 adults with either normal or elevated blood pressure. People who consumed probiotics had an average reduction in systolic blood pressure (the top number in a reading) of about 3.6 millimeters of mercury (mm Hg) and an average reduction in diastolic blood pressure (the bottom number) of about 2.4 mm Hg, compared to those who did not consume probiotics. Probiotics' benefits seemed greatest among people with elevated blood pressure (higher than 130/85), and probiotics with multiple types of bacteria lowered blood pressure more than those with a single type of bacteria, the researchers reported. The study was published July 21 in the journal Hypertension. Duration of intake seemed key -- people who consumed probiotics for less than two months did not see reductions in blood pressure readings, the study authors noted. Still, "the small collection of studies we looked at suggest regular consumption of probiotics can be part of a healthy lifestyle to help reduce high blood pressure, as well as maintain healthy blood pressure levels," lead author Jing Sun, of Griffith University in Australia, said in a journal news release. "This includes probiotics in yogurt, fermented and sour milk and cheese, and probiotic supplements," she said. The study could only point to an association between increased probiotic intake and lower blood pressure readings, it could not prove cause and effect. And the study authors stressed that further research is needed before doctors can advise patients to take probiotics to lower their blood pressure. Experts agreed that more research is needed. "The degree of blood pressure-lowering was modest," noted Dr. Merle Myerson, of the Center for Cardiovascular Disease Prevention of Mount Sinai Roosevelt and St. Luke's in New York City. And she added that the study had limitations, because "the amount of probiotic consumed varied from study to study," and other -- perhaps beneficial -- items in the participants' diets weren't always uniformly measured. However, "despite these limitations, the results are useful in suggesting where further research should be directed," Myerson said. Dr. Bruce Rutkin is a cardiologist at North Shore University Hospital in Manhasset, N.Y. He said that "prior studies have demonstrated that probiotics and their products may favorably impact blood pressure through a variety of mechanisms." Those include a lowering of blood levels of LDL "bad" cholesterol and helping to control blood sugar and reduce insulin resistance -- a key player in diabetes. Rutkin agreed with Myerson that the reduction in blood pressure tied to probiotic products was "modest," but he believes that "in conjunction with a heart-healthy lifestyle, they may play a role in modifying cardiovascular risk."